A spectatular example of natural Pinot Noir, bursting with cherry-toned fruit and complex herbal-mineral elements with the liveliness of a well executed sans soufre wine. Biodynamic farming and hand harvesting in the vineyards. Fermented on the skins for 3 weeks in 1400-liter wood vats without temperature control before resting on the lees for a further 9 months. All native yeasts, no filtering, and no sulfur added at any point. "Micheal Voelker and Melanie Drese spent many years working in other fields, traveling the world and living in Heidelberg, Regensburg, London, and New York. 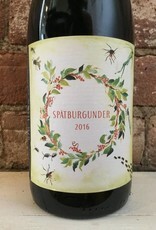 In 2013 they returned to begin taking over Michael’s father’s winery in Kitzingen in Bavarian Germany. Michael’s father is a long time winemaker, who in fact sits on the quality control board for the appellation, but has been very supportive of Michael’s desire to make wine without additives. 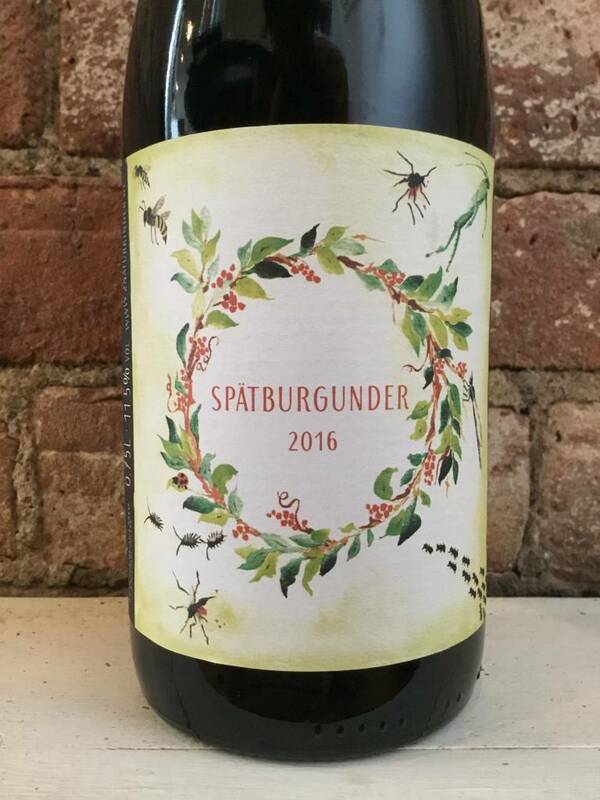 They began to make natural wines under the 2naturkinder label as a side project for the winery, and since then have decided to fully expand the project to take over more of the winery’s production. Michael has a particular interest in bats in the vineyard, and a few of the labels are inspired by them. He obtains bat guano from a local nature conservancy, which he uses when fertilizer is required. He is also sponsoring a research project to fund the role of bats in the vineyard."